The DNA has submitted its comments and concerns with the height and mass of this development. The developer seems to have no regard for our Durand community based on the gigantic posted signs on Hunter and Caroline saying the site is open for business before any approvals. This application must first go through the Design Review Panel scheduled for Thursday November 9, 2:00 pm. Room 264. This is a public meeting. The DNA will have members present. Following this and the staff report which takes in all community comments as well as the concerns of our Councillor, a Planning Meeting will be scheduled in December (TBA). This then moves to Council. The timing of the public meeting is not ideal for those of us who celebrate our Christmas and holiday season. If you have not yet registered your concerns with this inappropriate development we urge you to do so. See our submission here. Your voices can make a difference! PLEASE HELP! We have requested communication of the date of the December Planning Meeting and will advise as soon as we know. Your attendance at this meeting will help immensely to let this developer, Councillor Farr and the City Council know that this development, in its current form, is not wanted in the Durand. If you have the time, please take a walk along Aberdeen and see the new installation of garden beds in the Aberdeen bump outs. 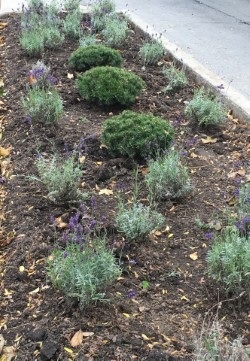 Our horticultural staff at the city has done a wonderful job to create beds that will provide four season interest as well as withstand our winters. Come next summer you will see a display of yellows, pinks and purples. The beds include Golden Rain Tree, Lavender, Mugho Pine, Yarrow, and Asters. These beds will be maintained by the City. 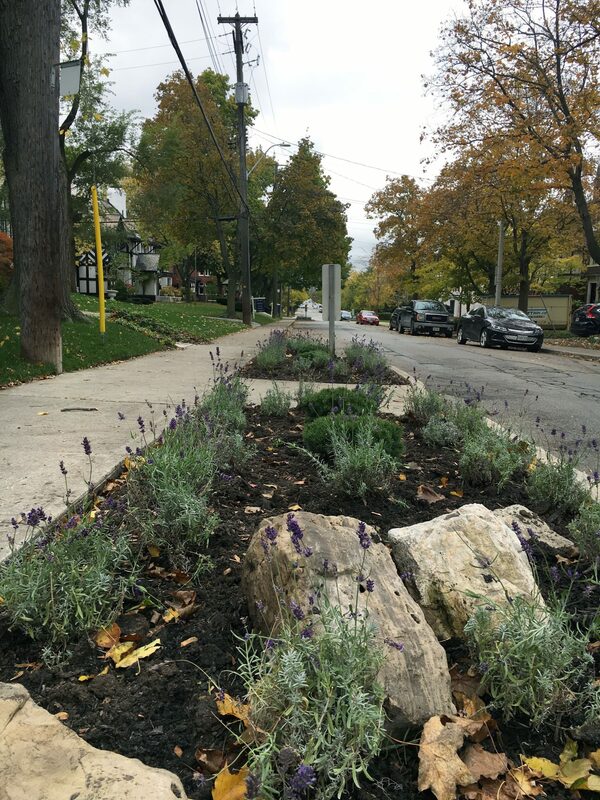 The Durand Neighborhood Association would to thank fellow Duranders Sarah Pierson White, Susan Baker and Janice Brown, Councillor Farr and Marcia Monaghan, and City of Hamilton Horticultural Staff for their efforts in beautifying our historic Durand neighbourhood. 1 comment on "Television City Update and Aberdeen Beautification"
I have already put my concerns in writing and sent it out via the internet. I live at 181 Jackson. When I go outside and see all of the white stuff that he has put down as landscaping I am amazed at the sloppiness of the work and shudder to think what will happen inside the building. The kind of mirror like face that seems to be planned has a reputation for falling off, according to someone I know who knows about that stuff and about this developer’s reputation.